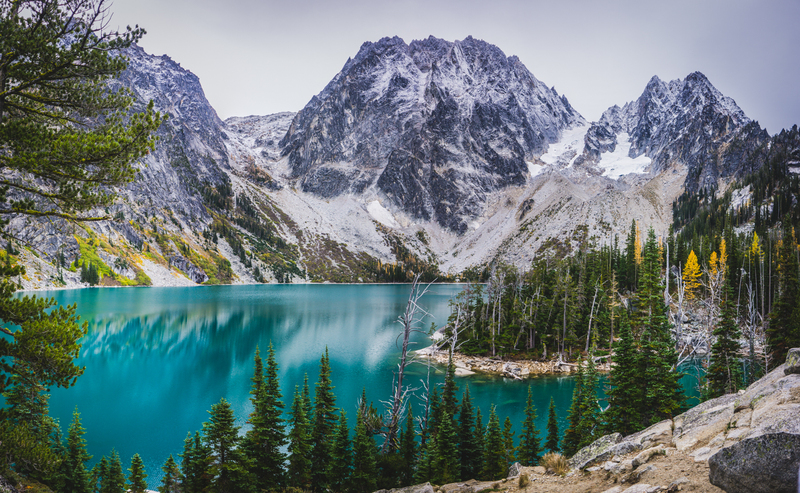 After hiking 4 miles, we were treated to a gorgeous view of Colchuck Lake, a bright blue alpine lake in the Okanogan-Wenatchee National Forest in Washington, on Sunday, October 12, 2014. The above photo is a stitched panorama of photos taken with my Sony a6000 and Sony E 20mm f/2.8 lens. I hope you enjoyed this shot of the week! Check back next week or subscribe on the right for more great photos and videos from our travels. This post was handcrafted for you from Hub Coffee Roasters, my new favorite local coffee shop in Reno, Nevada.